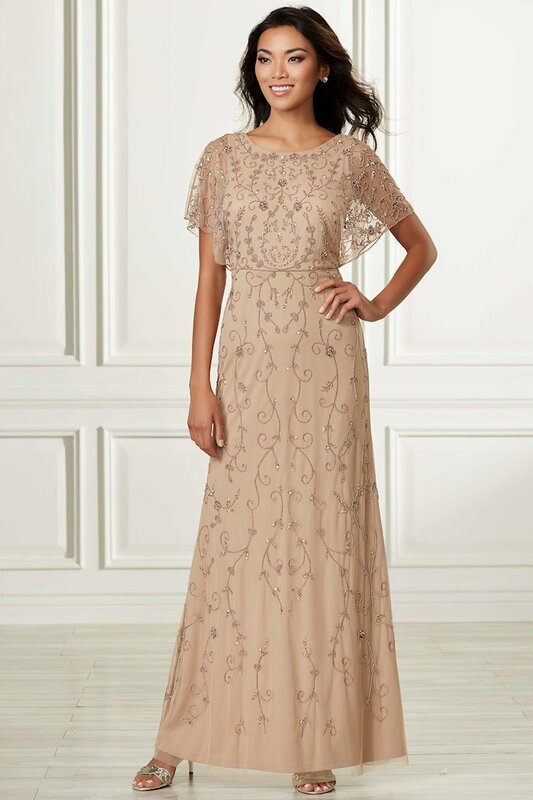 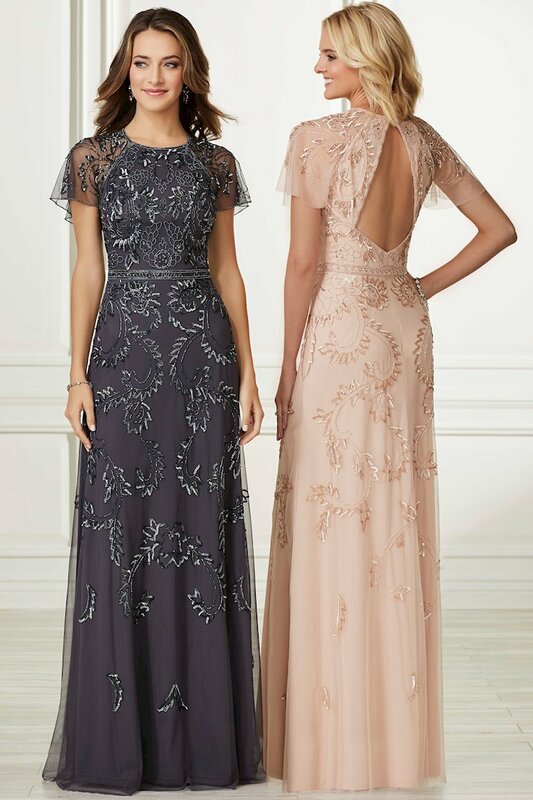 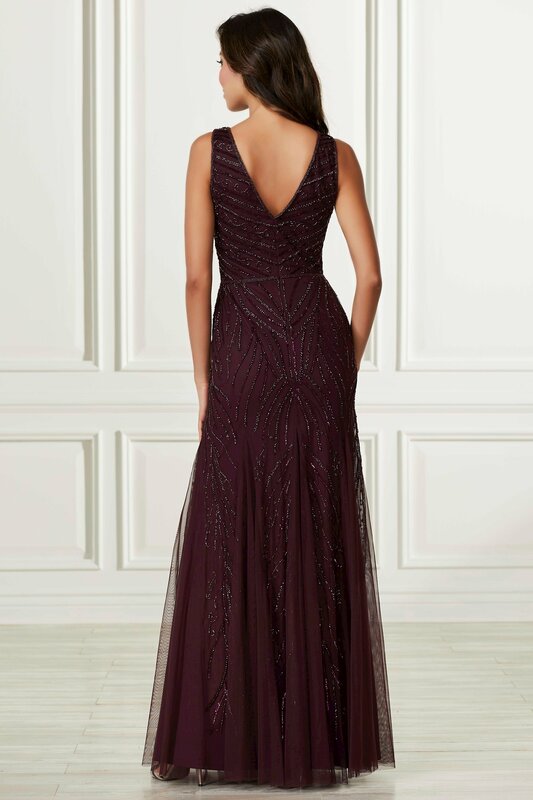 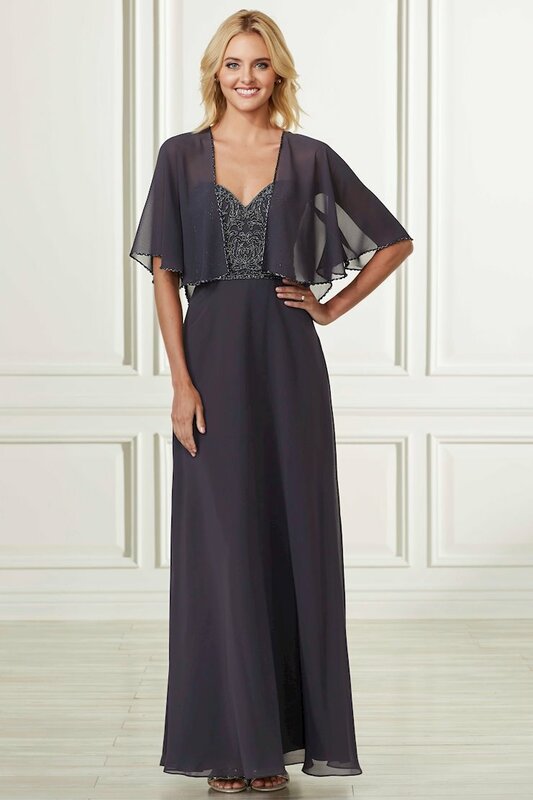 This slim, all over beaded gown features an illusion neckline detail and a V back neckline. 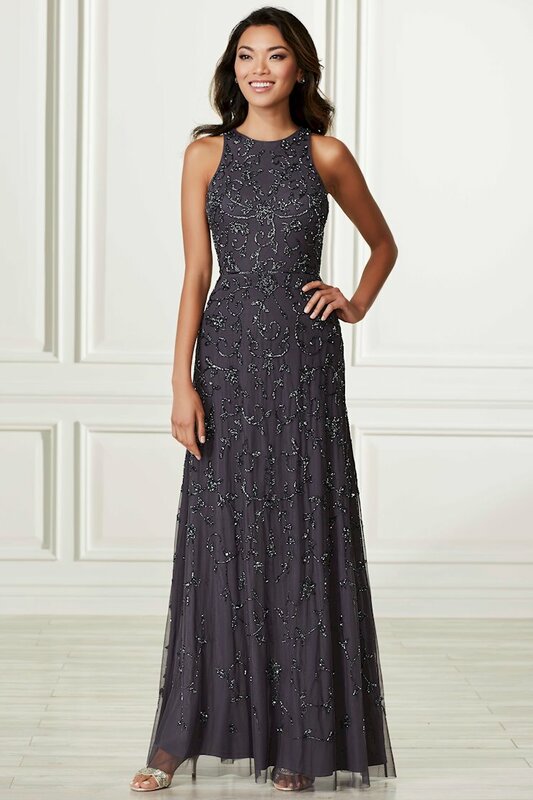 There is a thin beaded trim over the waist seam. 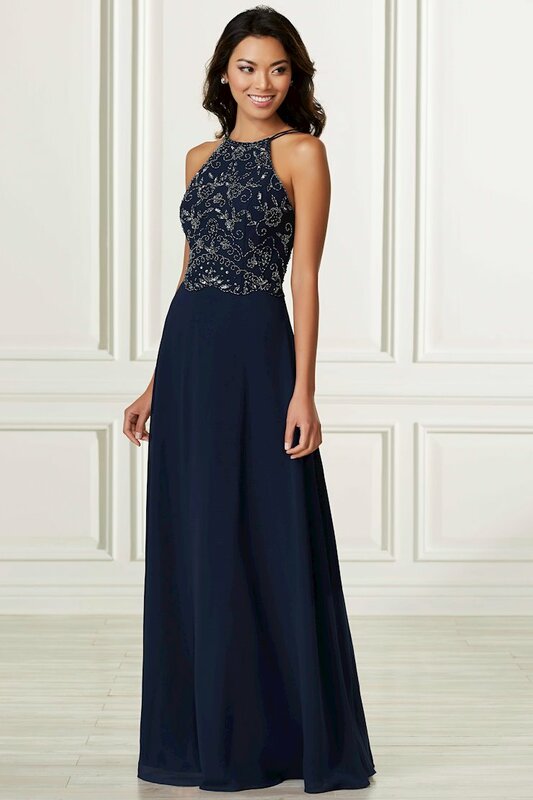 The skirt features soft godets.